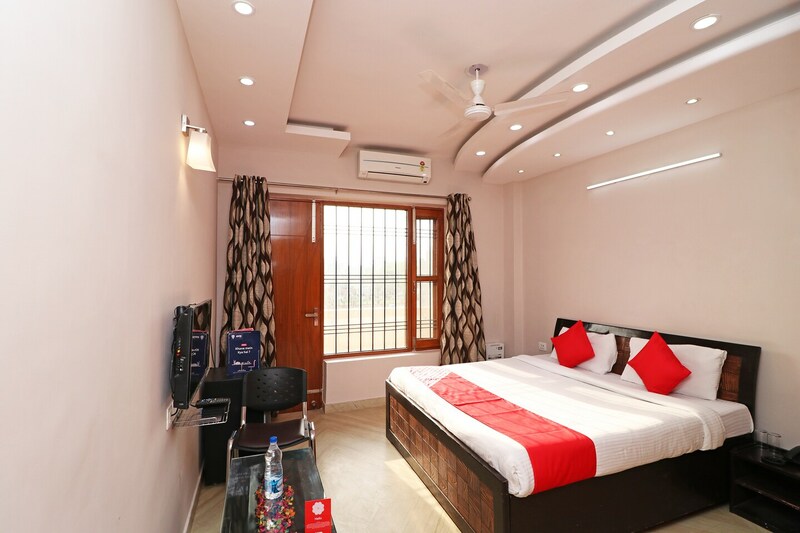 The Alarian Residency is a modern and welcoming property with bright and well-kept interiors, located near Medanta Hospital in Sector 38, Gurgaon. It is close to SRS Cinemas, Guru Nanak Park and Purani Kacheri. The property boasts of a stylish and bright lobby with false ceiling. The rooms here are bright and cosy too, with large windows, large wooden wardrobes and trendy false ceilings. Each room comes with TV, AC, and mini fridge. The property offers free internet, power backup, card payment, laundry service, parking, CCTV protection and a kitchen. Ki Hangla, The Pizza Kraft, FreshMenu, Burger Hut and Moti Mahal Delux are some of the restaurants that are close by.